Multi-camera editing can seem like a scary concept mainly because it has a different feel and workflow to your normal editing processes. However, Premiere Pro multicam editing is surprisingly straightforward! Once you have completed this tutorial, you’ll know exactly how to set up, edit, and troubleshoot your multi-camera projects. 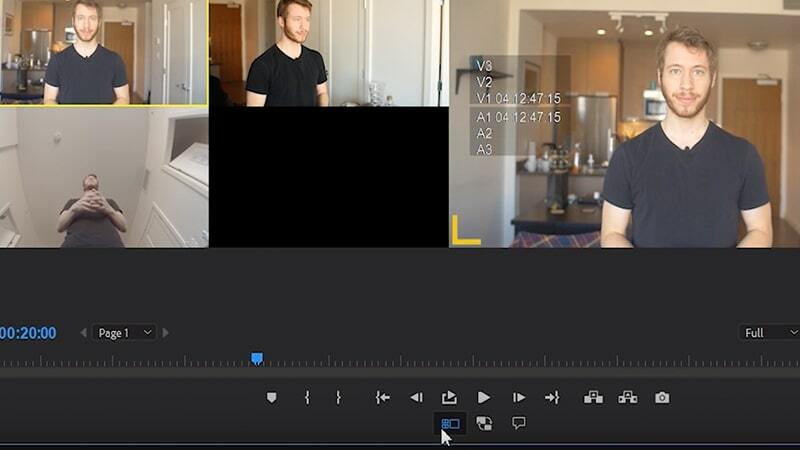 Before we begin, let’s clear one thing up: multi-camera and split screen editing are sometimes confused. 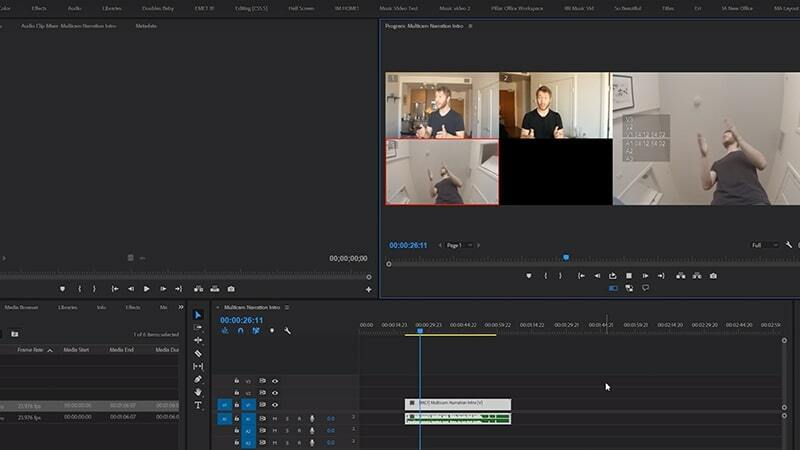 In split screen editing, you are working with multiple clips all shown at the same time. On the other hand, multicam editing takes place when you have various angles of the same subject — all recorded at the same time. The process allows you to easily cut back and forth between angles with just a few keyboard clicks. So, how do you go about setting that up? Let’s dive into the steps! Import your footage into your project. In the Project Browser, select the clips that you want to use in the multicam sequence (Hold Command/Control while selecting multiple clips). Right-click one of the selected clips and click Create Multi-Camera Source Sequence. Name the project — choose something that references which source clips are being used, such as ‘Intro’ or ‘Question 1’. Choose your synchronization settings. It’s most likely that you’ll need to use the audio option. Unless you have renamed your clips during selection, check the Enumerate Cameras box. Click OK, and you’re all set up. 1. 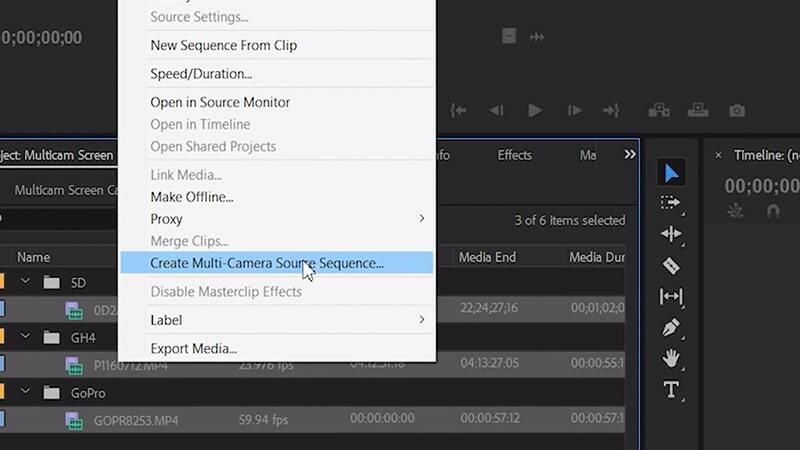 Find your new sequence in the Project Browser, right-click and choose New Sequence from Clip. 2. 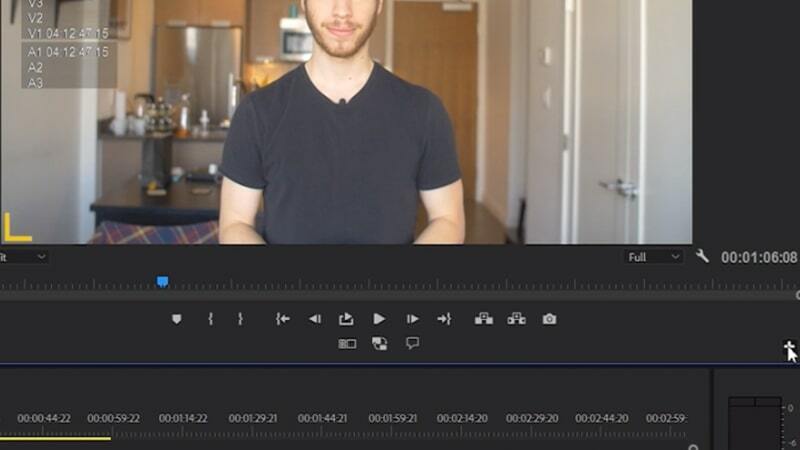 You’ll now have one clip in your timeline, with a single audio track. 3. Go to your Button Editor. 4. Select the multi-camera editing icon. 5. Drag the icon and drop it on your button bar. 6. Click OK to close the Button Editor, then click on the multi-camera icon in the button bar to open the multi-camera view. Adding the Overlay Settings isn’t a necessity, but we strongly recommend you do. The overlay adds a number to each of the clips that make up your multicam clip. Toggling this on allows you to use hotkeys to cut between camera angles. Go to the Program Window and click on the settings wrench icon, select Overlay Settings. In the setting box, check Enable Overlays during playback, followed by OK.
Go back to the wrench icon and select Overlays. The largest of the windows in the Program Window is your Active Camera. This displays the main video sequence. The smaller windows display the individual clips that make up the multi-camera clip. Play through the sequence until you reach a point that you would like the camera angles to change, click on the camera angle in the Program Window. Premiere Pro will add an edit, switching to that angle. Play through the sequence until you reach a point that you would like the camera angles to change. Using your keyboard, press the number allocated to the camera angle. 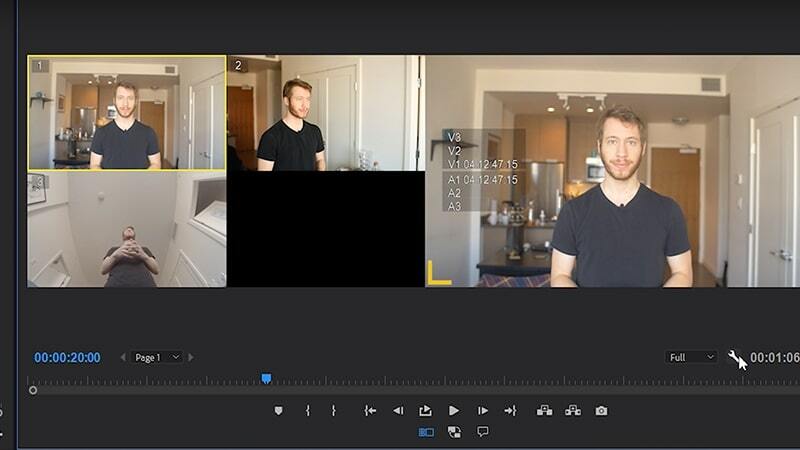 With practice, multi-camera editing can be quite a quick process, as you can make cuts while the video is playing. 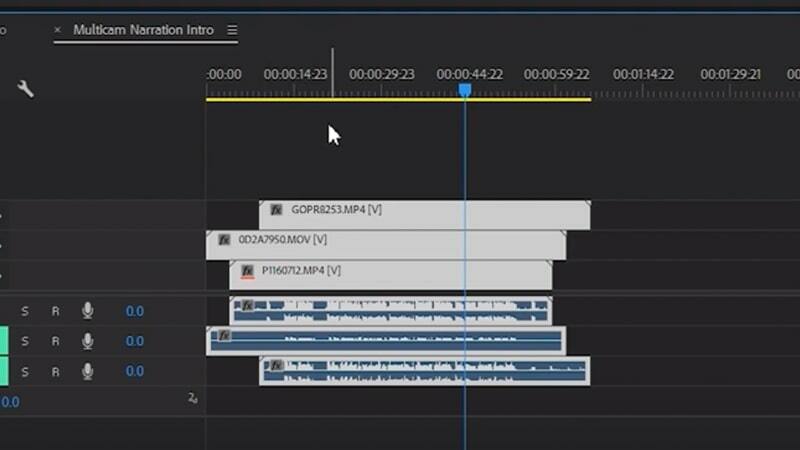 Zoom in to your sequence so that you can see the cuts between in the clip. You’ll see each has a label indicating the camera angle. 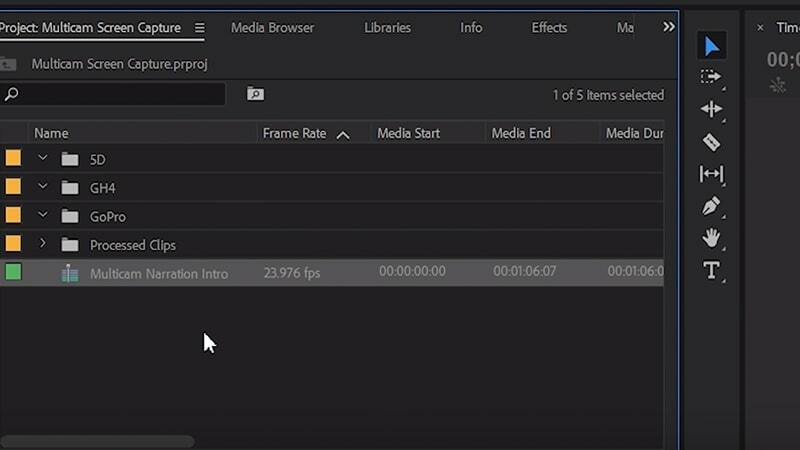 Select the point between two clips and hit delete. The edit will be deleted, and the clip will revert to the angle of the clip before it. You might decide that you need to swap the angle used for a particular edit without deleting and redoing the edit point. Simply select the select of the clip, and click on a different angle. Hit N to switch the Rolling Edit Tool. Grab the edit point you wish to change and drag along the sequence to reposition the cut. Some issues may arise for which you need to edit the source footage. To do this, you need to open up the multi-camera clip. Find the Multi-Camera Clip in your Project Browser. If you have problems finding it, right click on the clip in the sequence, and select Reveal in Project. In the Project Browser, right click on the Multi-Camera clip and select Open in Timeline. From here you can edit each source clip. 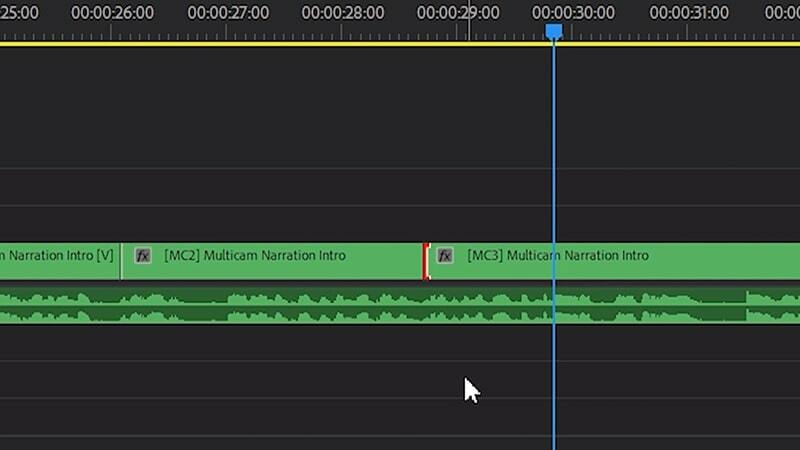 Occasionally, the audio in your clips will not be clear enough for Adobe to sync the clips correctly. In this instance, you may need to do a bit of manual syncing. Open the multi-camera clip and adjust the position of the source files, so they sync, using the visuals as a guide. This is where using a clapper board becomes invaluable. If you have created your new multi-camera clip using a wrong source file, it’s often easier to delete the new clip and redo it. There are many reasons, however, that you may have started editing when you need to change the source files. Open the clip to reveal the source files. Right click on the source file you wish to replace, select Reveal in Project. In the Project Browser, right click on the source clip and select Replace Footage. 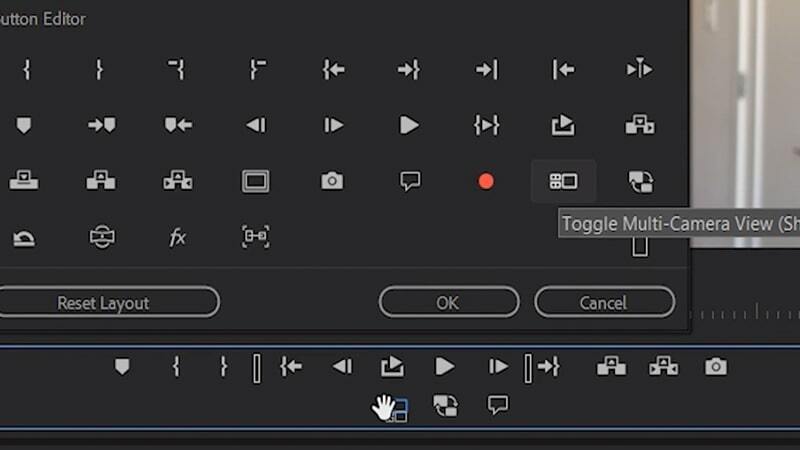 Find the clip you wish to replace, and select OK.
You can add color correction and grading, along with other creative video effects by opening the multicam clip. From there, apply the effects directly to the source files. The effects you apply to the source clips will affect the whole clip and every instance it’s used within the edit. Multi-camera editing is quite straightforward! Once you have set up the project, editing between the various angles is fun. 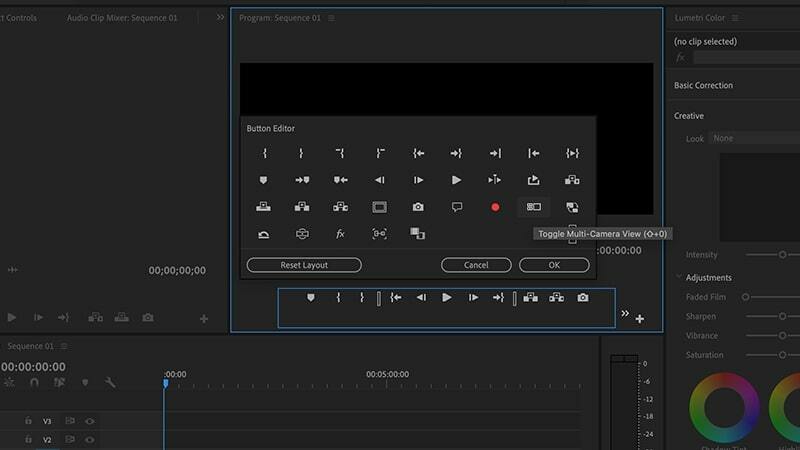 Now that you know how to use Premiere Pro multicam editor, practice, and you’ll be surprised how quickly you can create complex edits.